Do you know you can earn without - employees, inventory, or even a store? With an online business, you definitely can. In this radio interview with Jayson Lo of Tayo Na Man of DZAS 702, we’ll talk about leveraging the power of the internet to create a one-person business built from selling digital products. What Shaquille O’Neal’s shoes (NBA Player) taught me about business (& why I decided to focus on digital products). The TV show that’ll give you an MBA in selling. Why internet era is the golden age for shy-types to start a successful business. 2 books I recommend in helping you persuade people without being sales-y. It’s been said that you learn better by teaching others, so if you want to actually remember what you learned, I suggest you share the biggest lesson you learned in the comments section below. Remember what you learned by passing it on. Copyright 2019 by Digital Solopreneur. 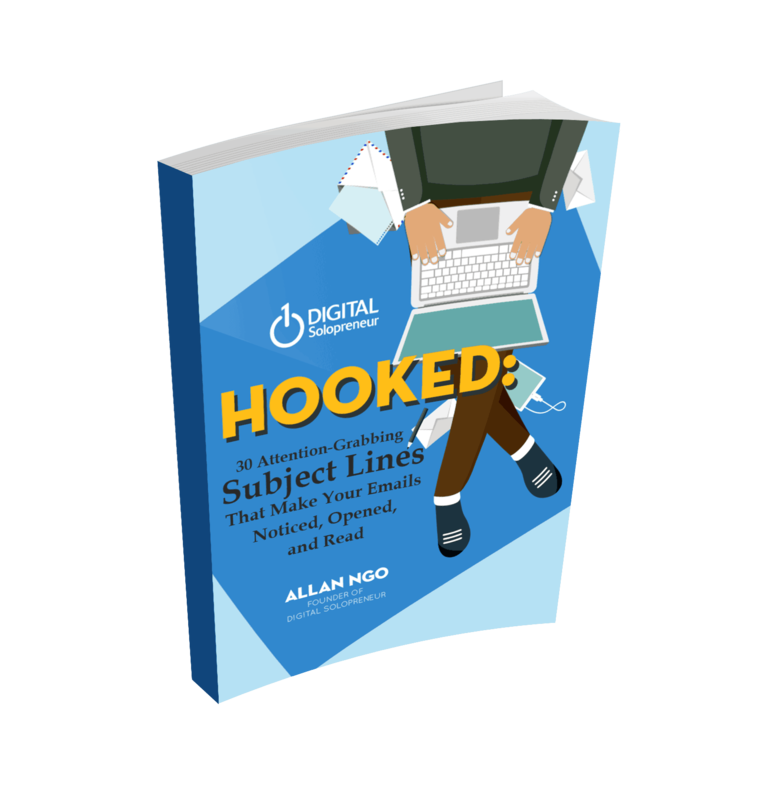 Strategic Attention: Not all subject lines are equal, find out which ones work best for your situation. Life-Tested & Varied: Curated from actual opened emails by individuals from different industries.